Analysis of fatty residue in pottery from the Dalmatian Coast of Croatia revealed evidence of fermented dairy products—soft cheeses and yogurts—from about 7,200 years ago, according to an international team of researchers. "This pushes back cheese-making by 4,000 years," said Sarah B. McClure, associate professor of anthropology. 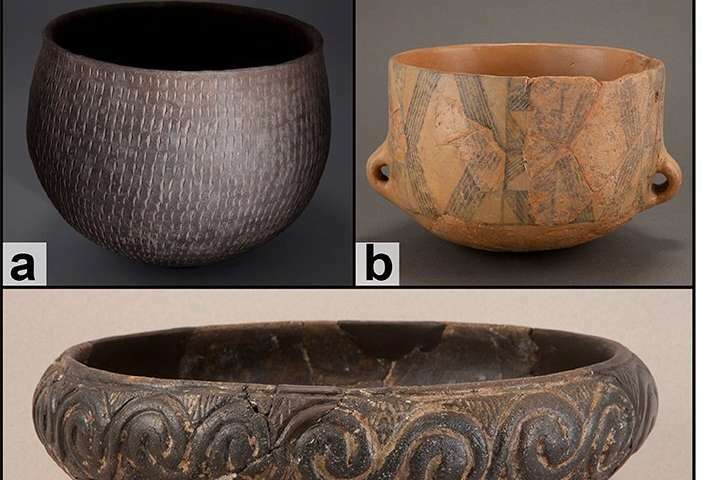 The presence of milk in pottery in this area is seen as early as 7,700 years ago, 500 years earlier than fermented products, said the researchers. DNA analysis of the populations in this area indicate that the adults were lactose-intolerant, but the children remained able to consume milk comfortably up to the age of ten. "First, we have milking around, and it was probably geared for kids because it is a good source of hydration and is relatively pathogen-free," said McClure. "It wouldn't be a surprise for people to give children milk from another mammal." However, about 500 years later, the researchers see a shift not only from pure milk to fermented products, but also in the style and form of pottery vessels. "Cheese production is important enough that people are making new types of kitchenware," said McClure. "We are seeing that cultural shift." When only meat, fish and some milk residue is found in pottery, during the Early Neolithic, the pottery is a style called "Impressed Ware" found throughout the area. 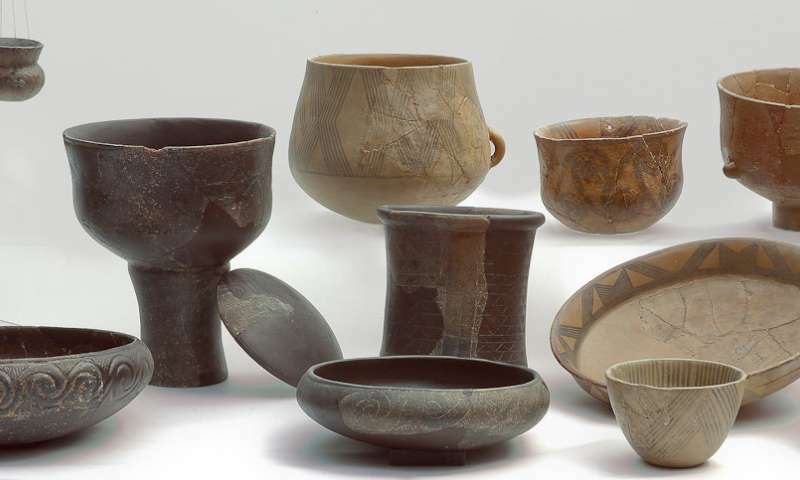 500 years later, in the Middle Neolithic, another pottery style using different technology existed—Danilo pottery—which defines the era in this area and includes plates and bowls. There are three subtypes of Danilo pottery. Figulina makes up five percent of this type and is highly fired and buff-colored, often slipped and decorated. All this pottery contained milk residue. The other Danilo wares contained animal fats and fresh water fish residue. 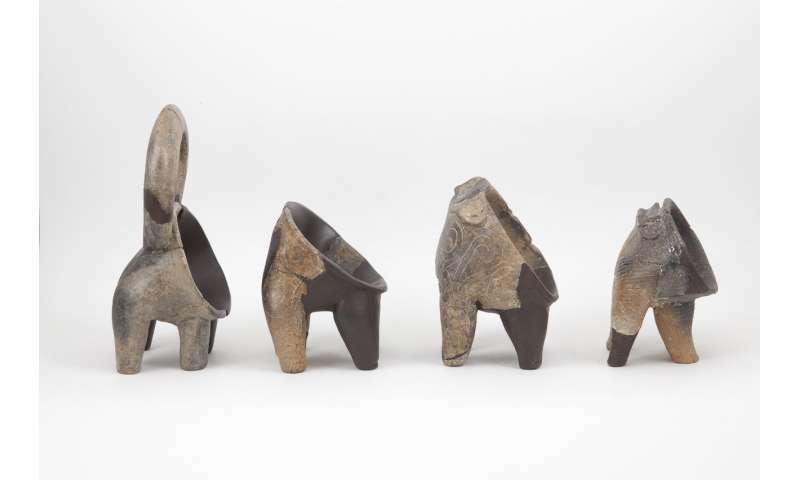 Rhyta, which are footed vessels with round bodies and are often animal- or human-shaped, have large openings on the sides and distinctive handles. The researchers found that three of the four rhyta in their sample showed evidence of cheese. The third category of Danilo ware is sieves, which are often used in cheese-making to strain treated milk when it separates into curds and whey. Three of the four sieves in the sample showed evidence of secondary milk processing into either cheese or other fermented dairy products. "This is the earliest documented lipid residue evidence for fermented dairy in the Mediterranean region, and among the earliest documented anywhere to date," the researchers report today (Sept. 5) in PLOS One. 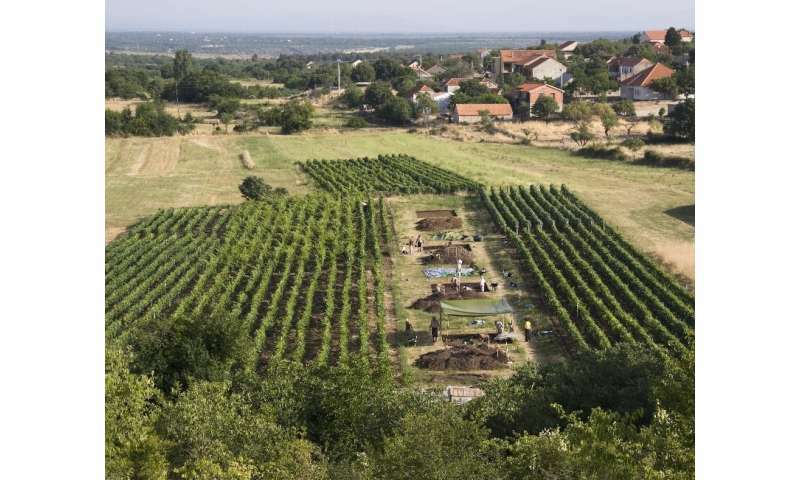 The researchers looked at pottery from two sites in Croatia in Dalmatia—Pokrovnik and Danilo Bitinj. When possible, they selected samples from unwashed pottery, but because some pottery forms are rarer, used washed samples for the sieves. They tested the pottery residue for carbon isotopes, which can indicate the type of fat and can distinguish between meat, fish, milk and fermented milk products. They used radiocarbon dating on bone and seeds to determine the pottery's age. According to the researchers, dairying—and especially cheese and fermented milk products—may have opened northern European areas for farming because it reduced infant mortality and allowed for earlier weaning, decreasing the birth interval and potentially increasing population. It also supplied a storable form of nutrition for adults, because the fermentation of cheese and yogurt reduce the lactose content of milk products, making it palatable for adults as well as children. With a food source that could buffer the risk of farming in colder northern climates, farmers could expand their territories.